During the Doklam standoff one thing that every Bhutanese can be proud off is the unity maintained by the country in the face of a grave crisis. It was heartening to see that political parties, who pick up every big and small issue, maintained a disciplined and important silence. Apart from political parties the united stand maintained by various other groups and ordinary people is admirable. The message sent out by Bhutan to not only India and China, but also the world, was loud and clear that when it comes to natural security, Bhutanese are all one, regardless of political or other affiliations. This message sent out by Bhutan through this demonstration of unity will reverberate for all times to come and strengthen Bhutan both internally and externally. However, this unity and focus would not have been possible without the unifying and stabilizing role of the institution of Monarchy. People of all walks of life rallied around King and Country during the crisis. The Doklam crisis and its resolution has once again demonstrated the absolutely vital role of Bhutan’s Monarchy in our internal stability and external security. During the crisis hordes of foreign journalists and crews, many of them looking for sensational headlines and news, descended upon Bhutan and Thimphu but virtually no prominent government figure let the dam crack. 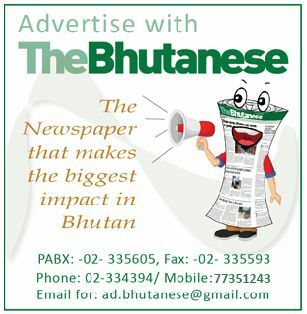 The Indian, Chinese and international media could not pick up any controversial statements that could be used as official statements to undermine Bhutan’s unified approach. This was also inspired by a deep love and concern for one’s country that ordinary Bhutanese have. By comparison in neighboring countries national security and diplomacy is considered fair game for politicians and political parties. Bhutan has been a success not because it has a lot of resources, which it does not, nor due to its size and power which are negligible in the regional context. Bhutan has survived and done well again and again coming on top of each crisis after crisis due to this unity and Tha Damtshi between the people and our Kings. Druk Yul has triumphed once again against great odds and danger to only come out stronger. While we are a democracy and that will bring our certain differences it is important to remember that if we are to survive and thrive as a people and country, we have to remain united.